The Russian Republic of Karelia has declared three days of mourning for the 45 killed in the Tupolev Tu-134 crash. As more details about the accident become known, a human error seems the most likely cause of the crash. The death toll increased on Wednesday when a 9-year-old boy died in hospital from severe burns and trauma. Anton Terekhin was one of the eight survivors of the deadly crash. His injuries were so serious that doctors would not allow him to be transferred to Moscow on Tuesday. His 14-year-old sister and mother were also on the plane and remain in hospital. 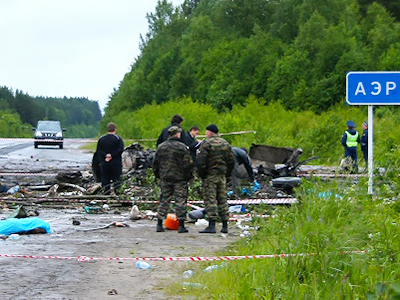 Seven others hurt in the crash are in hospitals in Moscow and Karelia. The life of at least one man is still in danger, while five have serious injuries, although their condition is said to be stable. Another has lighter injuries. Seven of the people onboard were from Karelia. State flags are flying low and no entertainment events are allowed in the republic. The mourning has interrupted the capital Petrozavodsk’s plans to celebrate Day of the City at the weekend. Some 100 relatives of many of the victims who lived in Moscow and the Moscow Region are to arrive in Karelia on Wednesday. Local authorities have prepared hotels to receive them, while psychotherapists are ready to provide them with the necessary support and treatment. Forensic experts are still working on the identification of the remains, but many bodies are in bad shape after the crash and fire. According to the health ministry, DNA tests are required in at least 19 cases. So far, seven of the victims have been identified. Doctors say burns from the fire were worse than the injuries from the initial crash. Survivors were lucky to receive help from local residents, who live just a few dozen meters from the site where the aircraft hit the ground. Reports from the people who helped several passengers get away from the danger say the fire spread very quickly and cut short their rescue effort. The site of the crash has been cleaned up, roads reopened and the wreckage of the plane completely removed. But there are still clear marks, evidence, like the burnt forest that remind people of the tragedy that struck Monday night. And for those who witnessed the horrific scenes, the memories are unlikely to go away. 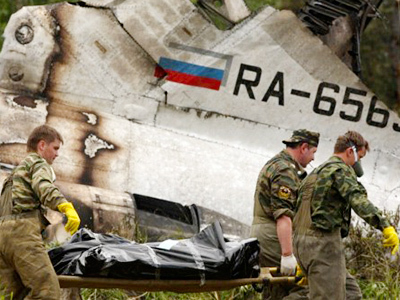 Evgeny was one of the first at the scene, as his house is only meters away from where the plane came down. He was one of the locals that came to the crash scene to help the survivors. “I heard the explosion and I ran out. The lights went out. I ran to the sight and we started rescuing people. We dragged away a man, two women and a pilot, but he was dead. The firemen arrived and we helped them,” recalls Evgeny. “I didn’t sleep for two days. I couldn’t even fall asleep. 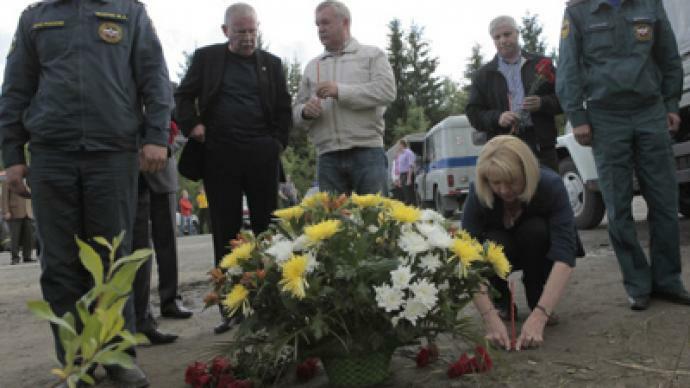 I kept recalling people screaming and us pulling bodies away from the plane,” says Evgeny. 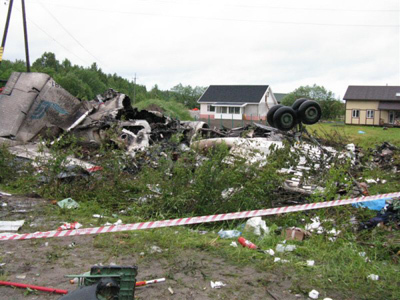 The Monday night flight from Moscow to Petrozavodsk in the north-west of Russia ended in tragedy when the aircraft crash-landed on a highway about a kilometer from the airport it was heading for. Many experts believe that human error in difficult weather conditions was the likely cause of the deadly incident. Traffic control at the airport suggested the Tu-134 take a second landing approach, but the pilot chose to proceed with the landing. It was announced on Wednesday that the plane broke into pieces and started burning after it hit trees. Following the collision, the plane snapped the power line which left Petrozavodsk airport and the runway without lights for five seconds. On Wednesday, investigators said that the flight recorders recovered at the crash site were not damaged and all the data they hold has been copied. The flight recorders had been delivered to Moscow and the deciphering works began on Wednesday morning.